let's anime: CALLING CAPTAIN FUTURE! The success of STAR WARS brought many a long-dormant SF franchise out of retirement; even in far away Japan the hunger for space-spanning astro-heroes was acute. If you're going to do STAR WARS, why not bypass Lucas entirely and go right to the source - the pulps? 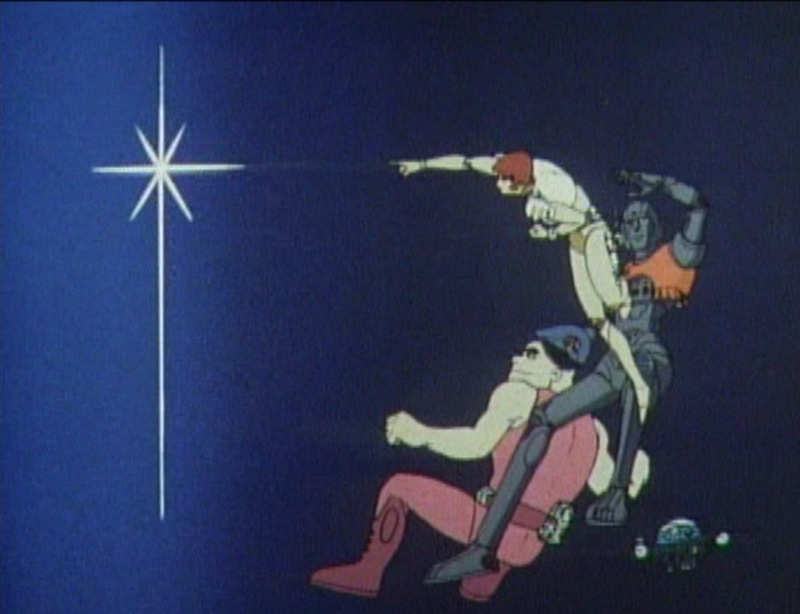 And so in 1978 Toei Animation Company would give us an anime version of the classic 40s pulp hero CAPTAIN FUTURE. A mysterious hero of the spaceways, Captain Future pilots the mighty spaceship Comet, and, aided by his weird and powerful Futuremen, is pledged to protect Earth and our entire solar system from anything - man, beast, alien, or sentient 4th-dimensional being from beyond time -who threatens peace! Captain Future and his amazing spaceship, "The Comet"
As a science-fictional amalgam of Doc Savage and The Shadow, Captain Future had 17 issues of his own pulp magazine in the 1940s, as well as appearances in other pulps in the early 50s. How did this daring adventurer of the spaceways come to be? 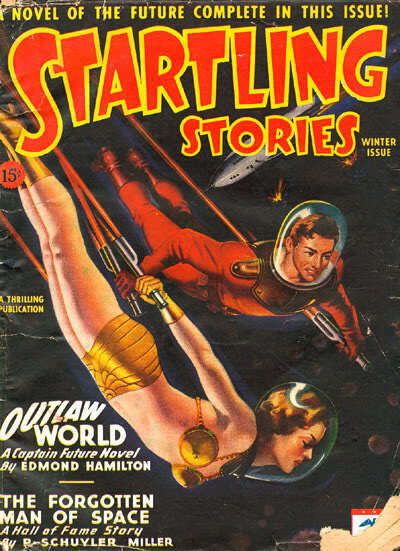 Mort Weisinger, future Superman editor, spent the late 1930s editing SF pulps for Ned Pines' Thrilling Publications. He'd noticed the success of pulp's continuing mystery characters - The Shadow, The Spider, The Avenger, Doc Savage, G-8 And His Battle Aces, Operator No. 5, etc. - and figured his nerdy teen-age scientificition audience could use a futuristic wish-fulfillment character. He tossed this assignment at one of his top writers, Edmond Hamilton, with not much more than the concept of "pulp hero in space" and a name - "Mister Future." Hamilton sat right down, changed the name, and fleshed out the concept with a backstory and a supporting cast. By the summer of 1939 Weisinger was at the first World Science Fiction Convention in New York City, perhaps admiring the first cosplay and witnessing the first fan feud. He also announced the upcoming publication of CAPTAIN FUTURE. Hamilton's CAPTAIN FUTURE wouldn't win any literary awards or dazzle impressionable minds with extraordinary prognostications of future trends. What Hamilton's stories did do, however, was entertain. Zippy, two-fisted space opera for those who like their heroes with jaws of granite and their villains sneering and malevolent, CAPTAIN FUTURE is unpretentious fun even sixty years later. But who is CAPTAIN FUTURE? Mortally wounded, a top scientist entrusted his infant son Curtis Newton to the care of three fantastic guardians - an artificially created being with synthetic skin and organs, a seven foot tall super-strong metal robot, and Simon Wright, a genius biologist who cheated death by having his living brain encased in a unbreakable shell equipped with electronic senses and force-beams! Raised to manhood in a secret lunar base and taught all Earthly knowledge by his three protectors, Curtis Newton has devoted all his scientific knowledge to the defeat of evil and the protection of humanity. Together with Planet Police special agents Joan Randall (requisite girlfriend) and Ezra Gurney (grizzled veteran), Captain Future pits his brains and brawn against all foes as he pilots his amazing spaceship "Comet" on scientific research expeditions and/or space crimefighting escapades that take him and his crew to the ends of the universe - and beyond! CAPTAIN FUTURE would vanish from the newsstands in the 1950s, but the nostalgia boom of the 1960s would see his adventures revived in paperback form along with those of his fellow pulpsters Doc Savage, The Shadow, etc, reprinted with terrible covers for the edification of young baby-boomers, their nostalgic parents, and confused 70s kids like me, looking for science-fiction entertainment in the wake of Star Wars. This was just what Toei was counting on! 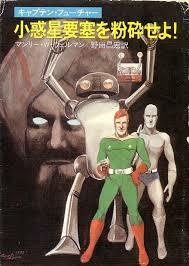 In Japan Captain Future's adventures had been reprinted several times starting in the 1960s, with a recent 2004 printing covering the entirety of the pulp's run. I'd been aware of the CAPTAIN FUTURE anime series for years; several episodes were dubbed by ZIV International and released on home video in the early 1980s. What I didn't realize was how close the Japanese version stuck to the American pulps. I had to track down those out-of-print paperback CAPTAIN FUTURE reprints to find out that the "Wrecker" storyline is taken right from the original pulps. Ditto the time-travel story "Lost World Of Time" - straight from Hamilton's overworked typewriter, right to Toei's overworked animation staff. 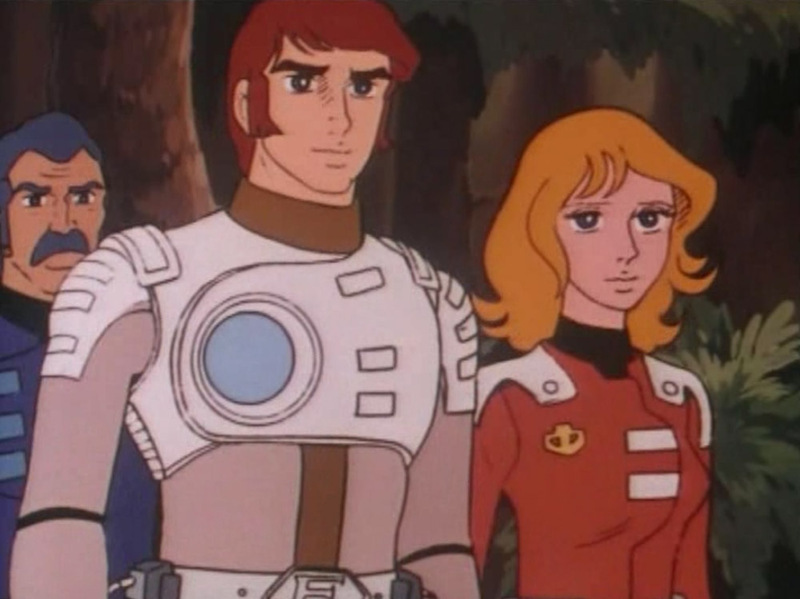 All of the CAPTAIN FUTURE highlights are present in Toei's show: the friendly rivalry between Grag the robot and Otho the synthetic man; Curt Newton's amazing spaceship The Comet, the comic relief of Grag's metal-eating "moon-pup" and Otho's weird meteor-mimic, the persistent outer-space Lois Lane antics of Joan Randall; they're all there, right down to Curt Newton's twin proton pistols, always ready for action. One non-canonical addition to the series was Ken Scott, a (cough cough) kid sidekick. The cheese factor of the old pulps is matched by the cheese factor of the 1978 animation, which today can't help but look clunky and dated. The work has a lot of the same on-again, off-again character model problems that plagued CAPTAIN HARLOCK, also from Toei around this time, but there's a hand-drawn authenticity to the show that has appeal in today's digital age. The mechanical design is decidedly NOT pulpish - what in the 40s was a streamlined, teardrop shaped torpedo of gleaming steel is in 1978 a '2001' style NASA-approved space vehicle with segmented units, auxiliary thrusters, pod bay doors, et cetera - all properly utilitarian, and yet still able to match velocities and penetrate to the electrical universe that exists inside Halley's Comet, or utilize heretofore unheard-of polarities to travel back in time to the birth of the Solar System. from the episode "Captain Future's Space Date"
CAPTAIN FUTURE ran for 52 episodes, from November '78 until December of 1979, on Japan's premier broadcaster NHK. Toei's Manga Matsuri festival highlighted Captain Future with a theatrical release of an expanded TV episode entitled "Great Solar System Race" which is about a great race in, yes, the Solar System. Scripts for the series were taken from the 13 original Hamilton pulps, so attentive fans will be pleased to see "The Comet Kings", "Captain Future's Challenge," "Planets in Peril," and "The Lost World Of Time." Toei's staff included Tomoharu Katsumata, who would later helm the Harlock film My Youth In Arcadia and zodiac-fighting anime Saint Seiya. 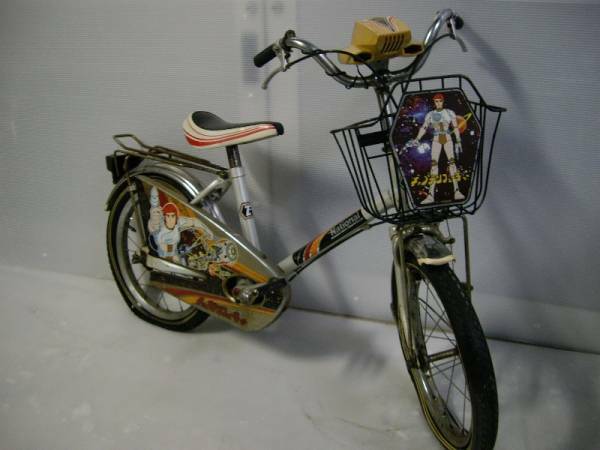 A hit in Japan, the series inspired a wide range of merchandise, which included toys, games, and a child-size bicycle. ZIV International, a subsidiary of Lorimar Telepictures, would release three home video CAPTAIN FUTURE adventures - "The Wrecker's Plan" and the two parts of "Lost World Of Time" - with indifferent dubbing that managed to completely misinterpret the properties of the rare element "gravium", not to mention giving Simon Wright a woman's voice. 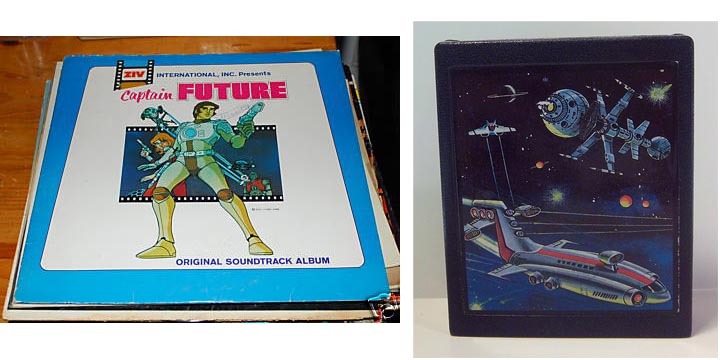 The audio track would get a rare storybook LP release, and that would be it for the American release of the Japanese Captain Future cartoon. 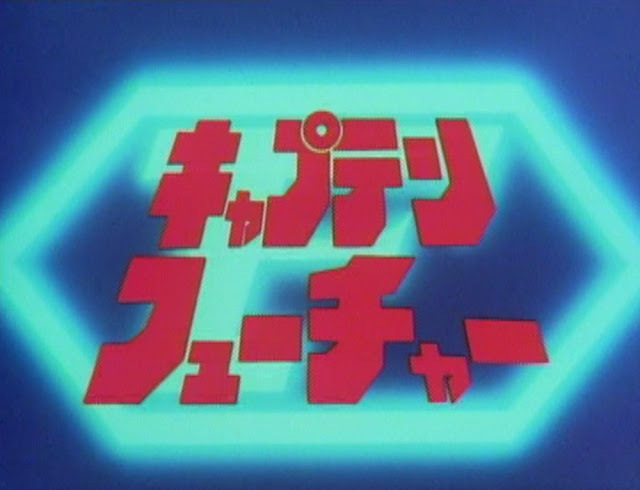 However, the series would achieve tremendous success in Europe, particularly Germany, where an electronic funk-disco soundtrack by Christan Bruhn would help turn the show into a cult hit. To this day CAPTAIN FUTURE fan clubs operate in Germany. The French-language dub, "Capitan Flam", would air both in France and in Quebec on the CBC. Japan wasn't done with the Hamilton estate, however; his three part STARWOLF series (which I highly recommend) would become a live-action TV series from Tsuburaya in the late 70s, but wouldn't enjoy the authenticity or the popularity of CAPTAIN FUTURE. It would, however, be immortalized by Mystery Science Theater 3000. Japan would continue to mine the SF pulps for anime inspiration: in 1984 Toho would release an ambitious, partially-computer-animated film version of E.E. "Doc" Smith's pulp SF classic LENSMAN, a film that blithely ignored key story elements in favor of stylish visuals, a daring gambit that almost - ALMOST - succeeded, and left behind a TV series, more indifferent English dubbing, and some nice Tomy toys. CAPTAIN FUTURE itself is not forgotten; the Toei series recently received a Blu-Ray release in Japan to accompany the German BD and DVD releases. To this day anime fans sneer at the camp and cheese of pulp SF, while golden age scientifiction enthusiasts turn up their noses at the lurid excesses of 'japanimation'. But there are plenty of us in the mushy middle who enjoy space opera no matter what language it's in. Will CAPTAIN FUTURE and the Futuremen blast out of obscurity again someday? Will the quick draw of a proton pistol once again spell the difference between life and death amidst the booming suns of outer space? Only Curtis Newton and the estate of Edmond Hamilton know for sure! Well done, Dave! I'd like to throw in the obligatory Yamato connection here--Tomoharu Katsumata was an animation director starting with Arrivederci/Farewell and took over for Noboru Ishiguro when he moved on to other things. Katsumata stayed with Yamato all the way through the end in '83. I can't find any offical home video release in Japan, but the books seem to have some life to them. holy crap, looks more like Dan Dare than anything else! I could tell, even thru the frankly inept Ziv transliteration work that the show seemed to keep pretty close to Hamilton's stories. I'd love to see the entire series,but...yeah...not unless I go for the boots and I just don't like that...ah well. I can never remember that part. I made a pretty low grade VHS capture of one Captain Future tape, which was the one containing the bit about the universal necessity of gravium as a source of gravity. Possibly also "zellens on Mount Saint Helens," but that might have been a different one. 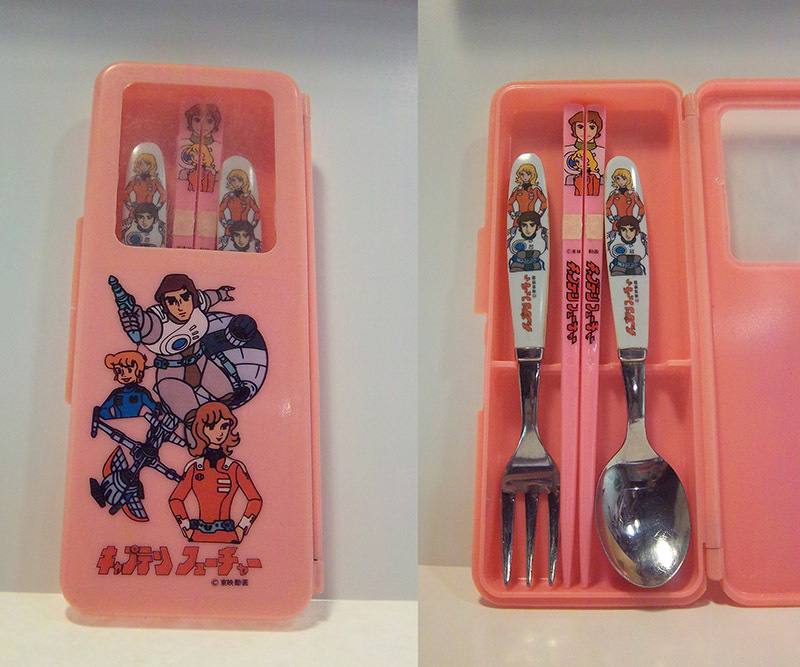 Don't look at me, I only tracked these things down to find out about how B.A.D. came to be! Pity Ziv couldn't get a syndication deal going in the US, but again I suspect the few episodes dubbed in English existed only to be used as sales tools at MIP-TV to sell the show to other countries. I've never heard them all, Dave, did Capt. Future undergo the same fate as Harlock i.e. the first release was fairly faithful, the second release being a cheap and dirty rush job? I'd rather just call 'em Nippon Columbia anyway, don't see why they felt the need to change their name to a less distinctive one, seems to be happening a lot with some companies lately. I get the impression those were what they were. Shame too, some of them could've found some accessibility if some exec. would say "Yes" despite the awkward dubbing issues. I would've probably fell in love with these shows despite not knowing the country of origin or anyone behind them until years later. Being reminded I picked up a couple cels from the Little Lulu anime ZIV had as well. ...i'm from Germany, please excuse my english. i do have 2 ziv CF VHS , one dub was done by the infamous Carl Macek/ Harmony Gold label, the other seems to be from ZIV inhouse dubbing. Harmony Gold's version is a tad better than the ziv one, but i think the dubbing in general was one of the main issues, the series flopped in the US. A very strange thing is, there exists not ONE commercial release on any kind of media in Japan. Not even VHS or Beta etc. Only the rerun on NHK a few years ago to celebrate the anniversary. I got the italian DVD set, wich contains as only release worldwide the japanese soundtrack as well. CF has still a strong followship in europe. ..I am one of them ^^ check out my anime cel collection of CF here: http://seb.rubberslug.com/gallery/home.asp i have some different sections for the characters etc. Captain Future soundtrack USA version by Mark Mercury is the best version of all!